Living room above garage is always cold no matter if we put thermostat to 70 degrees. Would like to have room warmer in winter and cooler in summer. Only need 1/2 of the old part of house done since I have storage upstairs. Energy usage for a 1520 sq ft home went from 1,769 kWh in November to 3,641 in December. Windows have been calked, new Anderson windows installed, wood burning fireplace insert installed, attic cover installed, light fixtures changes to LED and still have huge increase in consumption. Hi, I'd like a second quote to get closed cell foam insulation in my attic. Thanks! Have a first floor den in a raised ranch. Second floor extends past the first floor wall by approx. 20-24". Have walls stripped to studs and the bays of the floor/ceiling open. I want to fill these bays with foam insulation. There are 20 of them. The install crew was Phenomenal. The best part of the whole experience. They are very thorough, friendly knowledgeable people. Dr. Energy Saver Of Connecticut is proud to serve our area because we’re committed to customer service. Our team of professional technicians use quality products from the best manufacturers in the business. We want to work with you to find a solution that will work best for you! Many home suffer from air leakage through cracks and gaps that have not been well insulated. As wood shrinks over the years from changes in weather, it creates gaps that weren't there in the original construction of the house which can become a major leakage point. When air leaks through the house and out through the attic, it is forced to draw in air that is colder from other areas like crawl spaces and the basement. This is called the "stack effect" and it can be easily solved by simply air sealing your home and installing insulation that will keep air from leaking. Crawl spaces, as earlier mentioned, are a prime target for cold air to come in through during the winter months, forcing your furnace to work harder than it needs to in order to keep your home a comfortable temperature. This issue drives your energy bill way up and makes for a very uncomfortable living environment in your home. For this kind of problem, installing SilverGlo rigid insulation keeps your crawl space well insulated so that air cannot leak through it. 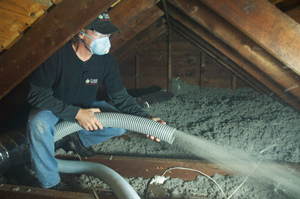 Many homeowners do not realize that their attic might not have the right amount of insulation which, for most Connecticut homes, should be between R-49 and R-60. 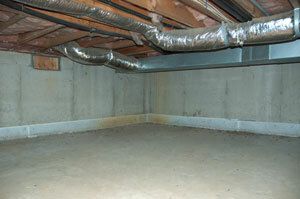 An attic can become a major problem area for your home if it is not properly insulated to keep good air in. When got air rises, it can escape through out of the attic, causing your home to be incredibly uncomfortable. The best way to remedy this is to properly seal it, and then insulate and ventilate it the right way so that the R-value of the attic is where it should be. The SuperAttic system utilizes both spray foam and SilverGlo rigid insulation to seal your attic up tight. The spray foam insulation is great for attics because it can expand to fit any gaps and cracks. Rigid insulation can't compensate for cracks and takes longer to install, but it has an integral radiant barrier to reflect summer heat out and winter heat back in. When attics aren't properly insulated, warm air can leak out and melt snow sitting on your roof in the winter. The melted snow can then freeze again in the gutter and over time, this process creates and ice dam that collects water which can eventually leak back through roof shingles. The best way to prevent this from happening in your home is to install energy-efficient insulation in your attic so that air can't escape in the first place. Air can also leak out through cracks around windows and doors if left unchecked. It's important to have your windows and doors checked for signs of air leaks because the amount of energy that can be leaked out is the equivalent of having a window open all the time. By installing replacement windows and doors, it will improve your home's energy performance and help cut down on your energy bill. Dr. Energy Saver Of Connecticut is committed to customer service which is why we hire only the best certified technicians to pinpoint problems in your home's insulation and seal it up. Our friendly, knowledgeable staff are ready to help you find the solution that is best for your home so call us today for a free estimate! I feel i can do more to make my home more energy efficient. I'm not sure what steps to take. I was just trying to get an energy assessment done. I feel like we are losing energy through our windows and sliders, but I also think our attic insulation may not be efficient. I was trying to ascertain the cost of an assessment. About 1000 sq foot 0f attic space required to insulate. I have an unfinished 2 car garage n gets very cold during the winter I would like to insulate it before finishing it ! Would like estimate on adding home insulation.